The best email app to easily organise your Gmail, Outlook, AOL and Yahoo accounts. Regardless of your email address, you can experience the Yahoo Mail app's beautiful design, easy-to-use interface and lightning-fast speed. What’s more, Yahoo Mail offers 1,000 GB of free cloud storage, so you never have to worry about space again. - SIGN UP WITH ANY ACCOUNT – works with non-Yahoo email addresses, including Gmail, Outlook and AOL. No Yahoo email address required. - CUSTOMISE YOUR SWIPES – choose various actions such as delete, archive, move and more when you swipe left or right on a message. - GET NOTIFICATIONS FROM PEOPLE ONLY – get notified only when you receive a new email from a person, not a company or a group newsletter. - QUICKLY SEARCH – search across all of your messages, contacts, files and photos, faster than ever. - GET CREATIVE – make sure your emails stand out with animated photos and artist-made email designs from Paperless Post. - SEND MULTIPLE ATTACHMENTS – easily add photos, videos and documents to an email, all in one go. - NEVER LOSE AN EMAIL – keep all of your emails with 1,000 GB of free cloud space. - CHOOSE A THEME - select different backgrounds and text colours for your Yahoo inbox. - DITCH PASSWORDS – enable Account Key for secure, password-free sign-in. - CONNECT GOOGLE DRIVE AND DROPBOX – easily access and send photos and documents that you’ve stored in the cloud. 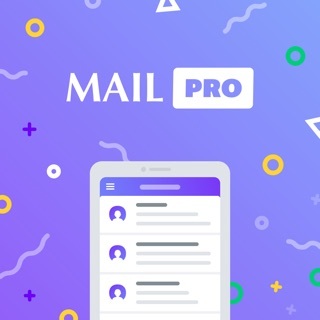 GET YAHOO MAIL PRO on mobile - Get ad-free mail on Yahoo Mail. - To see all the new features, upgrade your device to iOS11. - Optimised for use with VoiceOver. Once I get a message I need to swipe down for the email to appear in inbox, which I think, could be automatically refreshed instead. Current emails from 2016 are being shown as received in 1970... Please fix this. UPDATE: Email dates were fixed but now I have problems with notifications - on both iPhone and Apple Watch, instead of the actual text, I am getting "NEW MAIL NOTIFY V4.0" - ?